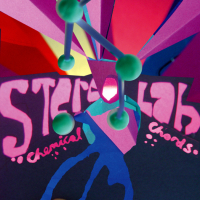 If Stereolab (MySpace) were a person, they’d have recently graduated from high school. That’s how long Stereolab has been around. Eighteen years. That means they formed in 1990. That means I was 10 at the time. Come November they will prepare to enter their fourth U.S. presidency. Their longevity outlives most independent labels and most independent bands; hell, they formed during the Cold War! 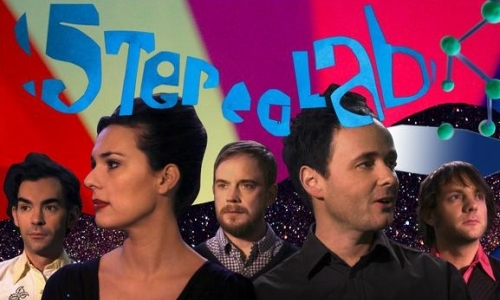 So what new can you really say about a group like Stereolab? You have to be pretty well-versed in their back catalog to critique anything new and I am certainly not that. What I can say is that Chemical Chords stands up nicely to their other more recent works in 2006’s Fab Four Suture compilation and their last true full-length, 2004’s Margerine Eclipse. In fact, it tops those two records by a long shot. And that’s saying a lot. Fab Four Suture was a phenomenal compilation of great singles (and their respective B-sides). For one only really “well-versed” in their more recent work—say, their “teenage” years—I can at least say those of you who have enjoyed these years will likely enjoy Chemical Chords. It’s filled with similar vibes and similar sounds, easily recognizable as a more recent Stereolab. You’ll enjoy “One Finger Symphony” and will appreciate the instrumental first half and the second half, sung in French. You’ll enjoy the bouncy, vibrant “Silver Sands” and “Three Women”, which are the true standout tracks on Chemical Chords. In fact, you’ll likely enjoy the whole damn thing. I sure did.